Having clean carpets can be inviting and cozy for guests, however keeping them fresh every day can be a challenging task for many people. Since these areas are prone to spills, outdoor dirt and grease, professional cleaning and maintenance is crucial to preserving their fibre, texture, and colour. While there are many stains that you can easily clean with a dry cloth or mild solution, others are stubborn and require professional help with the right tools and products. Based on our vast experience and knowledge, here are the 6 most difficult stains to remove from carpets. An injury or paper cut in the office can often leave behind residues of blood on the office carpet. Blood is quite similar to a juice stain in that it can penetrate quickly and leave a dark mark after getting dried. This makes it extremely difficult to clean without spreading it into the surrounding areas. Thus, make sure to clean these stains as soon as you notice it because it is much easier to remove when it is still fresh. If you have a deep or medium pile carpet, you might want to do whatever to avoid gum or wax penetrating the fibres. Due to their sticky nature, these things can get stuck in your carpet and result in an ugly look. When they get ground, an attempt to peel them up might considerable damage to the surface. The best solution to this issue is to cover the affected area with some ices. After 15 to 20 minutes, gently pull them out. Wine and fruit stains can be also a challenging pain to get rid of. With their purple, red or orange colours, the liquid can seep deep into the carpet’s fibres and cause permanent damage. If you are dealing with this situation, it’s better to clean it immediately with hydrogen peroxide when the stain is still wet and fresh. Since oil-based and fat stains can blend naturally together, it is really hard to remove these components from the carpet, especially those made of synthetic fibres. They might grab onto the petroleum in your carpet and ruin the entire surface. Some manufacturers are aware of this issue and add a layer of coating or treatment to allow for easier cleaning. Basically, you can use a solution of water and mild dish soap. A common problem for commercial carpets is employees spilling their coffee and leaving a horrible stain. They can leave unsightly brown or yellowish stains and might be challenging to get rid of. The stain can be an annoying nuisance to clean. If you have accidentally spilled coffee, try to minimise the effects by using dishwasher detergent or vinegar. Excrement and vomit from a dog or kid do not only leave a persistent and foul smell but also stain the whole carpet surface. Employees walking outside all day may accidentally step on these things and then step foot into the office without being aware of the situation. The best solution is using baking soda to minimise the odour and remove moisture. After that, deep cleaning your carpet with a cleaning solution or shampoo. If you find yourself with stubborn stain deeply rooted or freshly attached, then ask the professionals in commercial cleaning, Evolve Cleaning to help you. We have been cleaning commercial offices and spaces for over three decades. 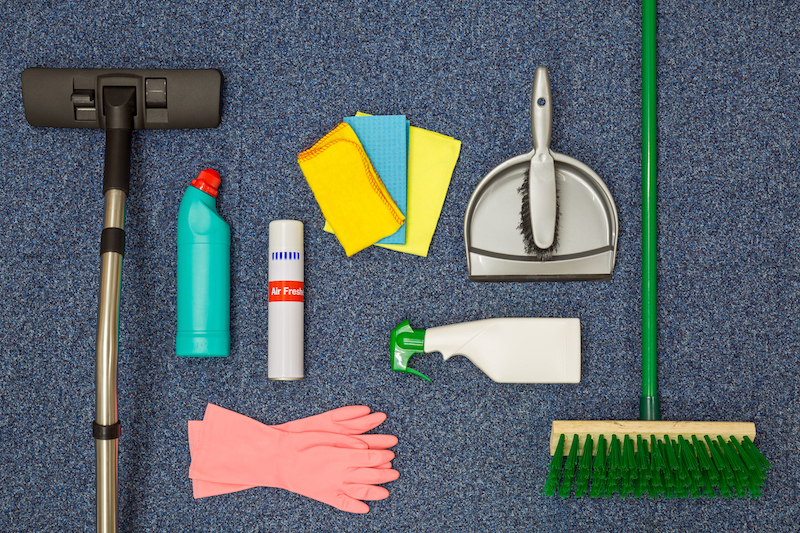 Our professional cleaners will be more than happy to return to maintain your office space daily. Simply call us for a free quote on 8313 7035.